All fitness levels welcome, including beginners! Our indoor cycling program combines a foundation of basic cycling movements with motivational coaching techniques, breathing awareness and heart rate training. 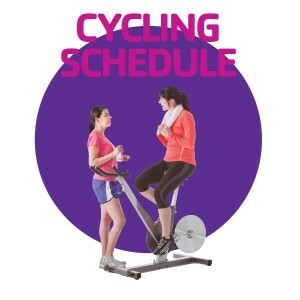 Please refer to our online Cycling schedule for the most updated class schedule.